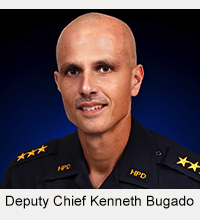 A Puna man has been charged with several offenses in connection with the discharge of a firearm in his home. 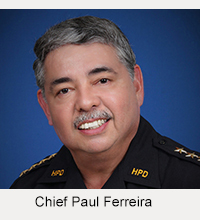 On Tuesday (June 10), Puna Patrol officers responded to a 4:32 p.m. “drop 911” call. When they arrived at the home on Orchid Drive in the Ainaloa subdivision, they made contact with a 50-year-old woman, who reported that her husband had brandished a .22-calliber rifle and fired shots next to her head while she was lying in bed. 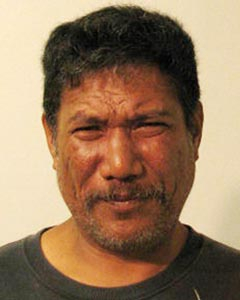 Police arrested 48-year-old Leighton Kaai Jr. and took him to the Hilo police cellblock pending further investigation by the Juvenile Aid Section, which investigates domestic abuse cases. At 11:45 a.m. Thursday (June 12) detectives charged Kai with first-degree reckless endangering, first-degree terroristic threatening and two firearms offenses. His bail was set at $6,000. He remains at the cellblock pending his initial court appearance scheduled for Friday (June 13).